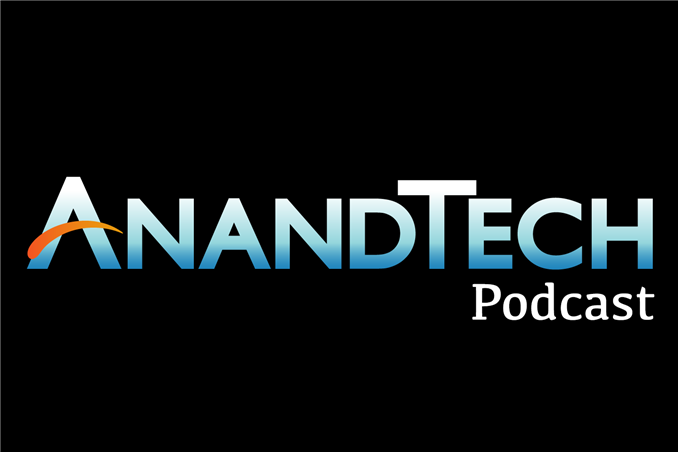 In this episode Brian and I talk about Nokia's Lumia 1020, Microsoft's struggles in the phone space, the HTC One mini, a giant battery for the Galaxy S 4, Aptina and ARM's Cortex A12. "I believe in idea that Microsoft could unify it's platforms"
I really can't understand how that could ever be possible. Win32 API is fundamentally incompatible with touchs as all of the GUI-components have been designed for pixel-perfect pointing devices with a cursor. Ofc you could build a decent touch-interface with Win32 API, but there is no remedy that would magically transform old Win32-applications to touch-friendly apps. Every single application ever created for Windows needs a new UI to be usable on a touch devices. And if you can't transform old GUI's to work on touch, then what would be the benefit of "unifying" the platform? It'd be just like bringing OSX to dualcore A9 touchscreen device... You absolutely need software to be created from scratch to be usable on ARM / low power touch-devices. This is why Metro was created. It's Microsofts platform for touch. Like iOS is Apple's. I don't think Windows 8 failed per se. It's just that once you launch a new API / platform with completely new "everything" it takes years to catch up with the competition. Current Windows RT is for Windows tablets what Android 3.0 and older was for Android tablets. Horrible, because it needs customised applications. At least Win RT metro runs nicely instead of being choppy as hell like android was before project butter. It took years for Google. It'll take years for MS.
Just stick to metro / modern ui, forget desktop usage, wait a year and Windows 8.x is going to be mostly fine for tablet usage. Regardless if it's RT or "normal". Windows 8 tablet with addon-keyboard and a pointing device will functions as a laptop as well, if you are into such things. Apparently quite a few people aren't, as pc-sales are tanking. WP8 still suffers from lousy multitasking that even Apple fixed some time ago, but other than that, I'm starting to believe that the app-selection and general usability is starting to reach the "good enough" plateau. What are the real problems for you not to be able to use WP8 as a smartphone? For me it would be the lousy appsupport for SSH / SCP, but I'd assume that it's not a problem for most people. Personally I run Nexus 4 with stock rom, 3rd gen Ipad and and 15" MBP dualbooting OSX/Windows with Windows and Linux VM's as my PC. All of the platforms excel at different tasks. I don't agree with this idea at all. I use my Lumia 920 way more than I did my iPhone. And with my iPhone I constantly had to go to my computer for music because I didn't want to buy music through iTunes or use iTunes to manage my library. I had a Zune music subscription that was wothless on the iPhone and awesome on my windows phone. also on iPhone your browser constantly gets redirected to cut down crappy smartphone websites and that doesn't happen much on IE10 on my windows phone. Especially because you can change your user agent to desktop mode. The lack of detail on the windows phone commentary just reminds me of Anand's criticism of Tesla Model S reviews. The reason I've read this site for a decade is the quality of thorough reviews.. Which hasn't happened at all for windows phone. Its just a weird stark contrast. sell me on android! Tell me what it has that windows phone doesn't! Something I would notice, not CPU specs or apps I don't use. I almost purchased an HTC One X but decided not to due to 16 GB of storage. Now I have windows phone. I could switch next purchase but I need reasons to do so. Not anecdotes.